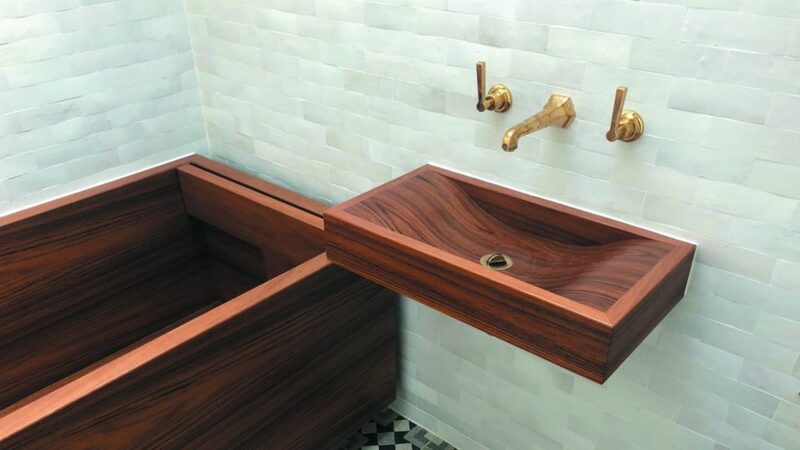 Wooden furniture and bathroom manufacturer William Garvey has defined the trend for Artisan Interiors with its Short Wave basin made from Teak. It is available in a choice of lacquered, unlacquered or Grey Tinted Teak and measures 600mm wide. The Short Wave basin comes complete with a Chrome Presflo chainless waste. In addition, William Garvey also offers the Long Wave basin which can be designed in a bespoke size to suit a bathroom project. It complements its existing portfolio, which includes the Japanese-style Helio range which includes basins and baths. William Garvey offers a wider range of products from bespoke wooden baths and basins to vanity units, medicine cabinets, shower trays, tiles and wall panelling.